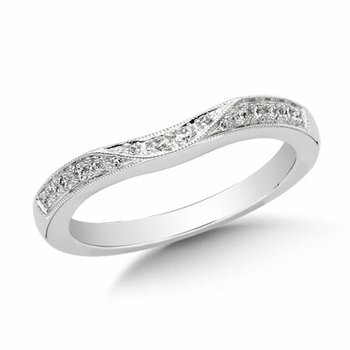 Give your customers a delicate, feminine look with this alternating scroll and bezel design. 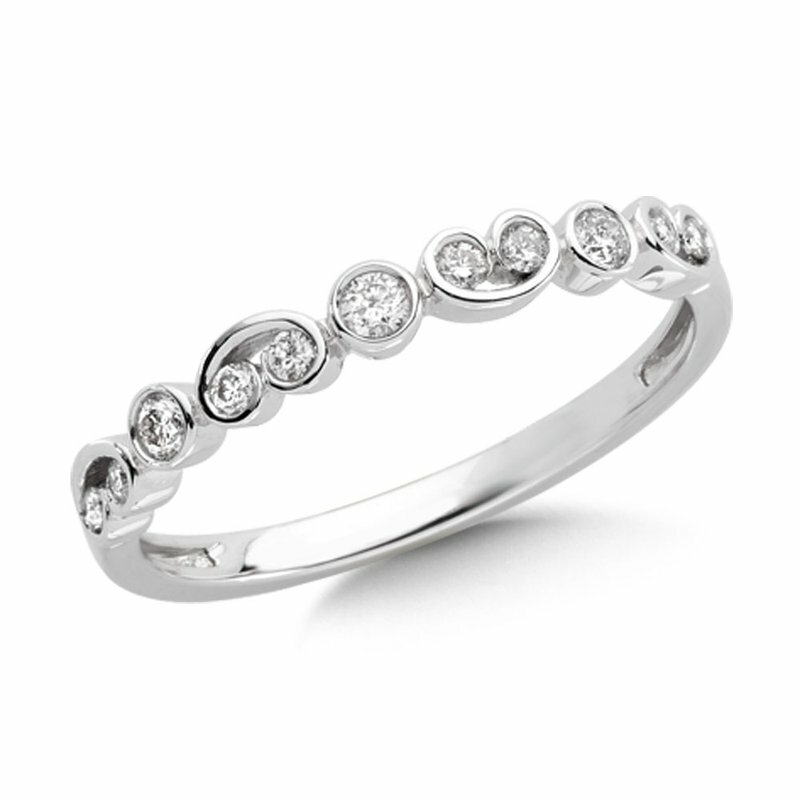 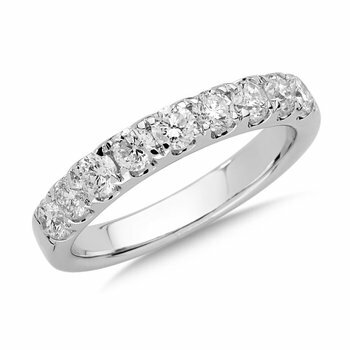 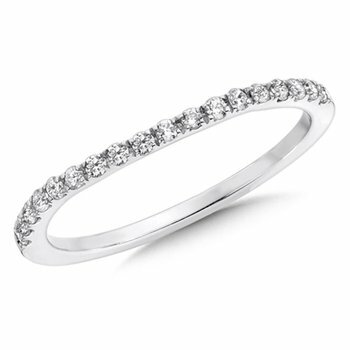 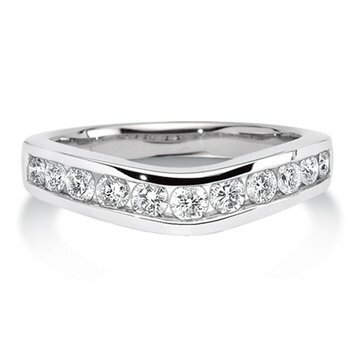 This design is a great wedding band alternative, stackable or anniversary ring. 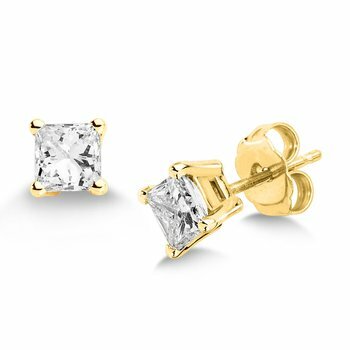 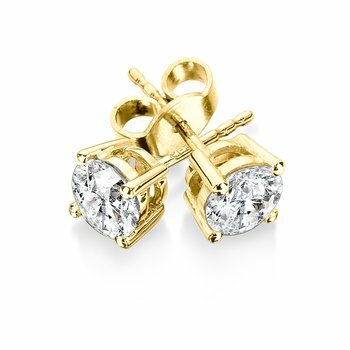 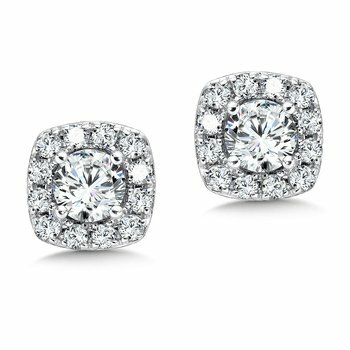 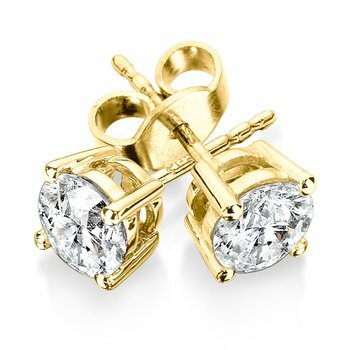 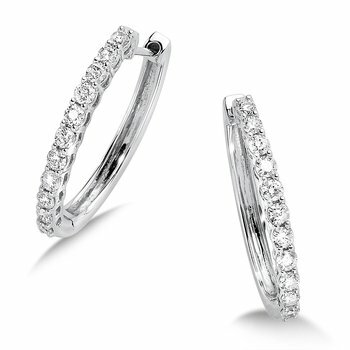 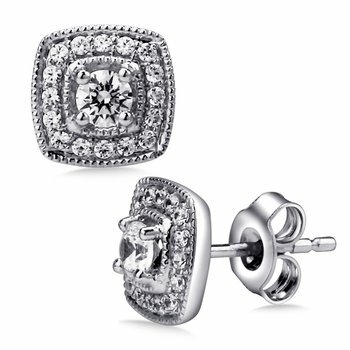 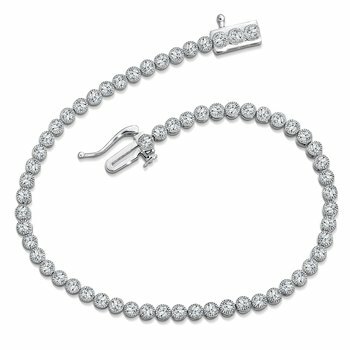 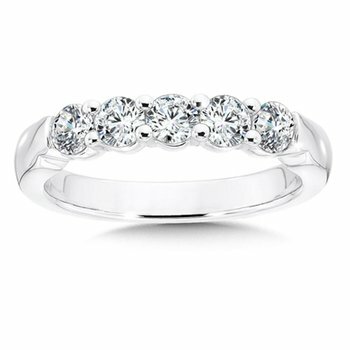 Round diamonds are bead set in 14k white gold. 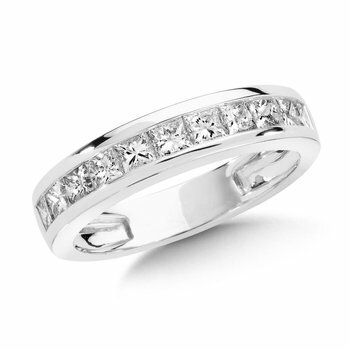 1/5ct. 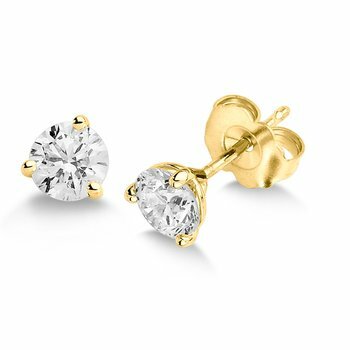 tw.